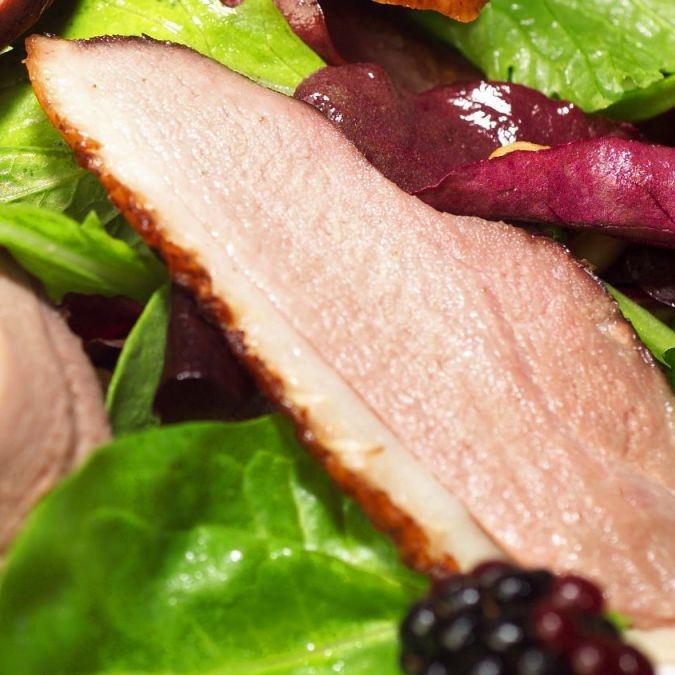 A real favourite, this Smoked Gressingham Duck Breast has won numerous awards including several Great Taste Awards. “Beautiful, mild-flavoured smoke and rich sweet meat - a real treat. "- Felicity Cloake, The Guardian. 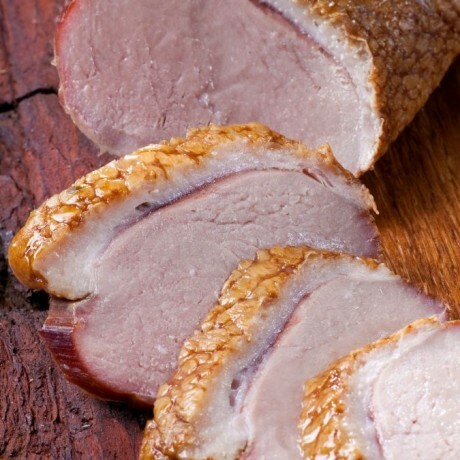 Tender Suffolk Gressingham duck breast is lightly cured and hot-smoked over Welsh oak. Ready to eat with a flavour that is rich and sweet yet delicate. 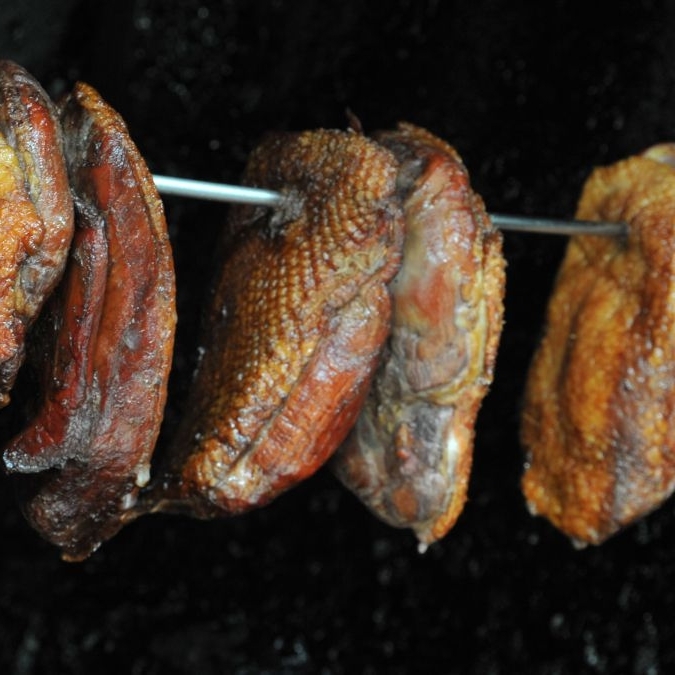 When very thinly sliced, this smoked duck becomes a perfect starter. Best served on a bed of dressed salad leaves with anything fruity. Ideal with fresh orange and walnuts, strawberries & balsamic or pears & pine nuts. Makes a great canape or crostini too, wonderful with some mascarpone and Cranberry & Claret Jelly. Comes as a whole 170g breast. 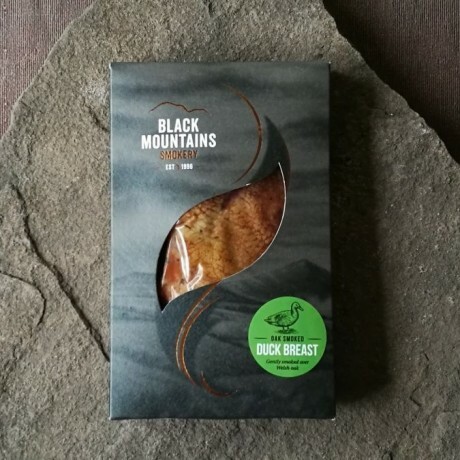 Black Mountains Smokery is based in the beautiful Brecon Beacons in south Wales. With sustainability and provenance at the heart of what they do, they only use the best fresh products, locally sourced from UK suppliers only. They take this good food and make it even better with their smoking process, where their skilled smokers expertly combine modern machinery with traditional methods. The fine quality of their smoked products reflects the extreme care they take at each stage of the process, from sourcing right through to preparation and smoking. Black Mountains Smokery always recommends serving the Oak Smoked Duck with Cranberry & Claret Jelly - layer slices of smoked duck and red berries on a cocktail stick on a platter around a dish of Cranberry & Claret Jelly for a simple canape. Made ready to eat. Please note may contain bones. Shelf life is a minimum of 14 days. Keep refrigerated below 5 °Celsius, and eat within 3 days of opening. Ingredients: Gressingham Duck Breast, Salt, Mixed Herbs, Oak Smoke. Oak roasted salmon. Best salmon in the world. Award winning traditionally smoked fish, meats and cheeses, and a fantastic range of gourmet food hampers.